Summer time is almost here and that means the school year is coming to an end! During the last few weeks of school, we always focus on reviewing many of the important skills that we have learned throughout the year. One math skill that I always review is number sense, specifically identifying and counting teen numbers. Using counters with ten frames is one of the strategies I use to help teach number sense. 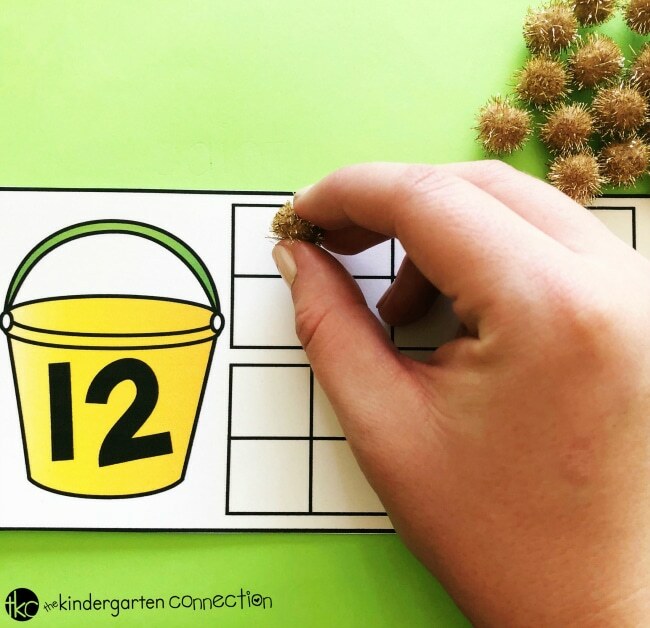 Today, I am going to share a fun summer themed activity that practices counting teen numbers using ten frame cards. *Pair this with our Kindergarten Summer Homework! 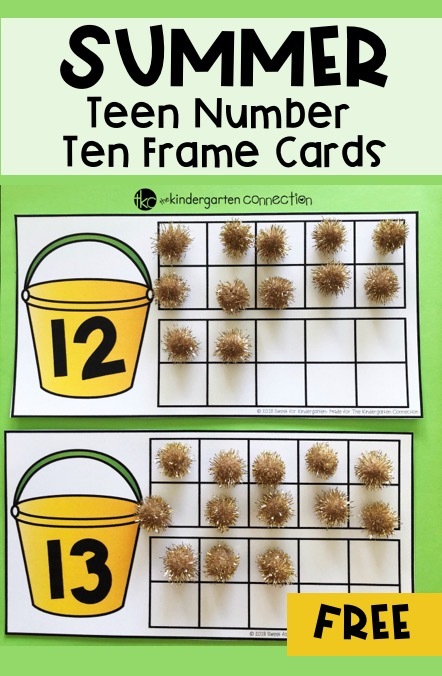 These teen number ten frame cards are great for a center activity or a small group review lesson. For the counters, I used sparkly pom poms, but you can use mini erasers, little seashells, unifix cubes, red and yellow counters, or draw circles using a dry erase marker (if you choose to laminate them). 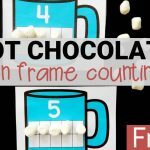 Print the Teen Number Ten Frame Counting Cards. Then, cut and laminate for durability. 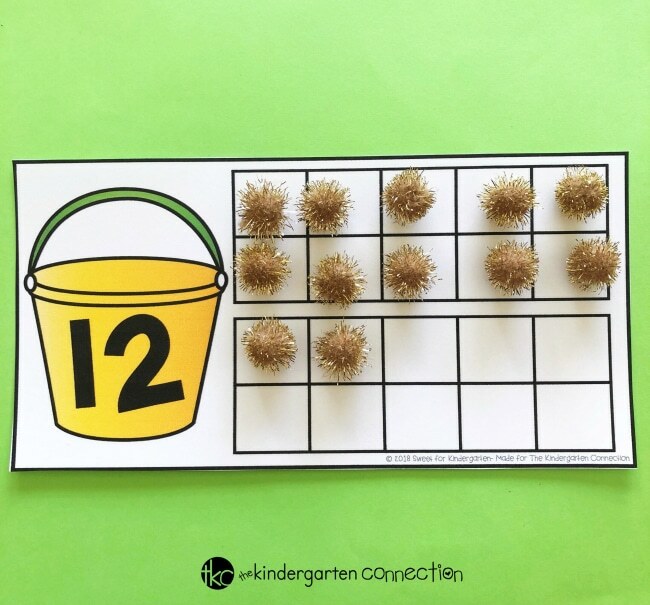 Find some counters for your students to use to count. If you laminate these, students could use a dry erase marker to draw circles in the ten frames. 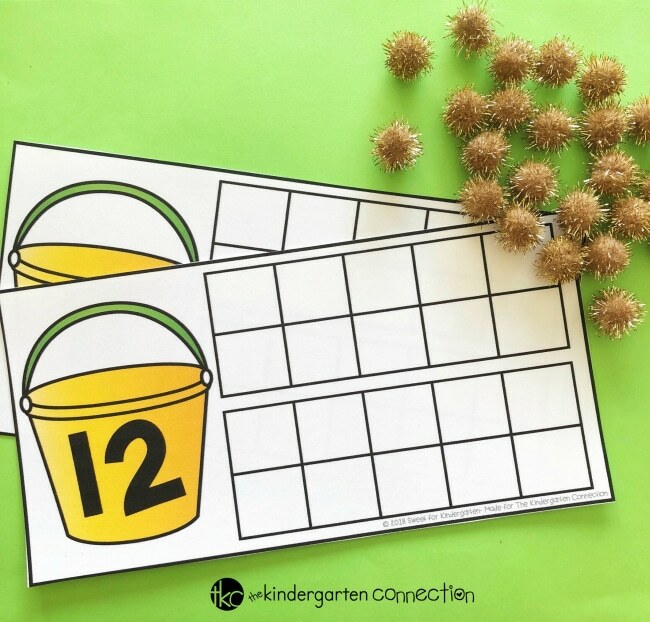 Students will look at the number in the bucket and use the counters to count out the teen number. They will place one counter in each box of the ten frame until they reach the teen number. Once they are done, they can clear the card off and pick another counting card to practice. Repeat until they complete all of the teen number ten frame cards. Are you ready to grab these FREE Summer Teen Number Ten Frame Cards? Just click the large, yellow button below! 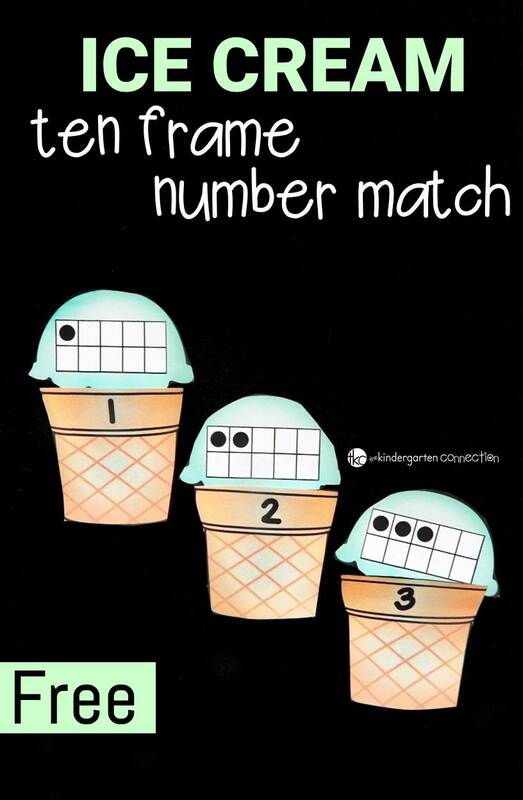 Then, hop on over to see our FREE Ice Cream Ten Frame Number Match Activity! We are glad you enjoy the freebies! Have a great summer! 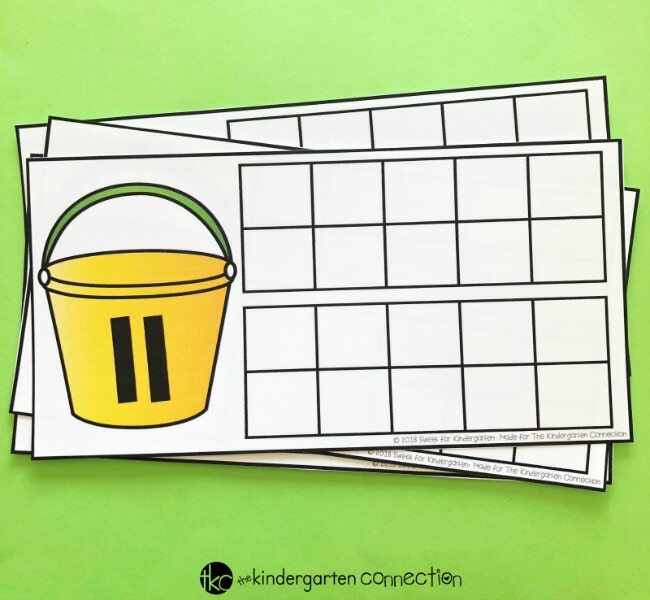 Do you have the “Buckets of Fun” ten frames available for numbers 1-10? I love the teen buckets of fun, but would like to differentiate with 1-10 for some of my students! I’ll send over your suggestion for the Buckets of Fun for numbers 1-10 to our creative team.